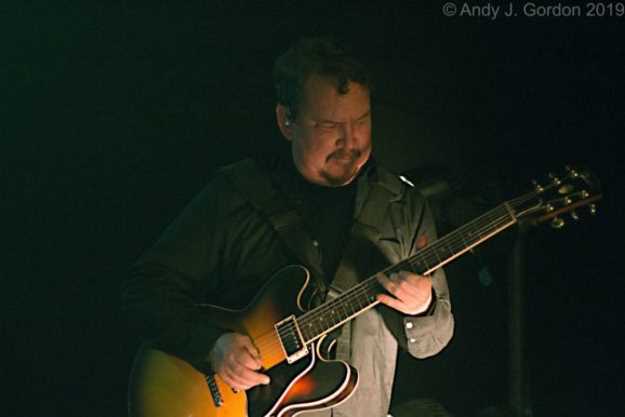 Three extremely talented bands thrilled a receptive crowd at the Ford Theatre in Hollywood on March 29, 2019, as Galactic, New Orleans' leaders of modern funk, headlined the show. 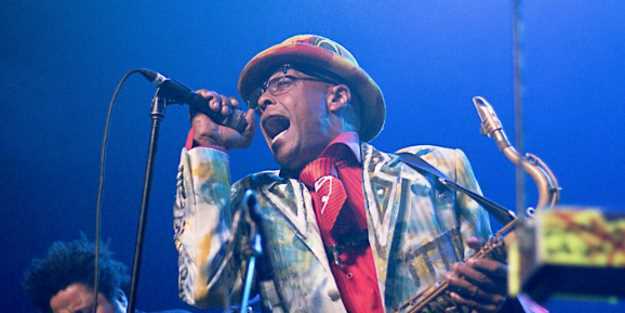 Legendary ska, punk rock, funk and soul band Fishbone and Bay area soul upstarts Con Brio warmed up the audience with spirited sets. The crowd's enthusiasm increased through the night and culminated with Galactic's closing set as many in the house danced to the pulsating beats. 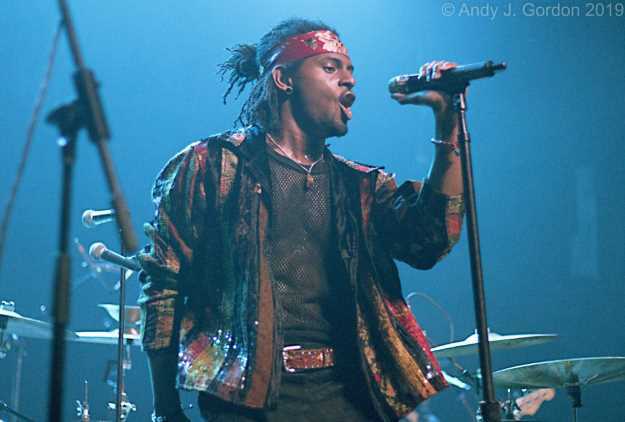 Con Brio may have formed in San Francisco in 2013, but they are seasoned veterans of the jam and rock tour scene, having played multiple festivals and eye-opening shows around the globe in their brief existence. Frontman Ziek McCarter has built a well-deserved reputation as a dynamic vocalist and dancing machine with world-class stage presence. The seven-piece group played a tight, high-energy set at the Fonda Theatre that included "Paradise," "I Wanna" and "Never Be The Same." They got the early arriving audience fired up for a long night of funk, soul and hard driving songs. Fishbone followed Con Brio and had "home court advantage." The band formed in 1979 in Los Angeles so the audience treated them like returning heroes. Their fusion of musical styles and explosive live shows has amazed audiences for decades. In spite of multiple lineup changes, the band has thrived and the recent return of founding members drummer Philip "Fish" Fisher, guitarist John Bigham and keyboards/trombonist Christopher Dowd has reenergized the band. Their Fonda Theatre show was full of songs deep in social commentary from the band's formidable catalog. They went way back to 1988 for "Ma & Pa" and "Ghetto Soundwaves" from Truth & Soul and closed the set with their first single, 1985's "Party At Ground Zero." The crowd got a much-needed set break after Fishbone's frenetic show. Galactic closed the show and the band is finishing up their "Already Ready Already" tour in support of the recently released album with that title. Galactic can be counted on for incredibly tight live sets, great horn playing and experimental music with guest vocalists. Dynamic singer Erica Falls has been touring with them for the past few years and she belted out the vocals on several tunes at the Fonda Theatre show. However, Galactic went back to their instrumental roots for much of the show to the delight of their old school fans. The sextet of Stanton Moore (drums), Robert Mercurio (bass), Jeff Raines (guitar), Richard Vogel (keys), Ben Ellman (sax, harmonica) and Eric Gordon, from Stooges Brass Band, who replaced regular trumpeter Shamarr Allen, showed their amazing chops all set long. 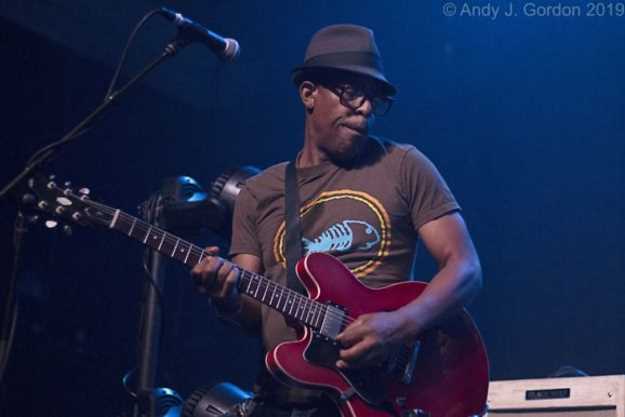 On instrumental songs like "Ready Already," from the new album, the mid-set medley of songs from 1996's Coolin Off, their first studio album and "Tiger Roll," the band sounded incredible. For "Big Whiskers," Ellman, Gordon and Falls left the stage and the remaining quartet sounded like a classic rock power band. Galactic never lets the energy of their shows wane, and Falls is expert at riling up a crowd. She got the audience to sing along and clap their hands for tracks like "Heart of Steel," "Hey Na Na" and "Right On." The band gave props to one of the openers by bringing out Con Brio's Zeik McCarter to duet with Falls on "Into The Deep," the title track and single from their 2015 album. The encore featured another stellar instrumental, "Bakers Dozen." The show concluded with Falls singing the enticing "Dolla Diva." The band blasted the rhythm as Falls gyrated around the stage. It was a fitting end to a fantastic show.